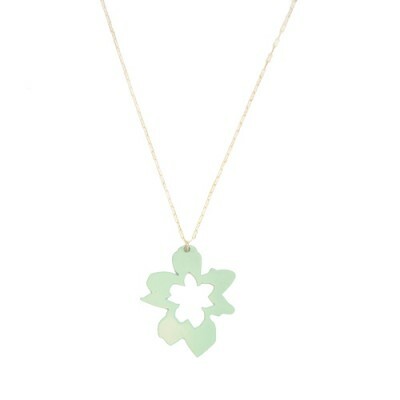 An orchid in seafoam green, is paired with a delicate 14k goldfill chain. Materials: stainless steel, 14k goldfill chain, powdercoated. Size: 18" necklace, 1.5" long pendant. Also available in seafoam green.